You might already have started your business blog. If so, good for you! Just over half of business owners have one. And the ones who blog regularly get 67 percent more leads per month than those who don’t. If that’s not a great incentive to make time for blogging, I don’t know what is. Decide how often you want to blog – aim for at least a few times per month – and get started. Blogging is a habit, so the more often you do it, the easier it will become. If you miss a week, don’t let it derail you. Pick back up the next week. Now that you’re writing awesome new content every week, don’t let it sit unread on your website. Share those great posts! Sure, blogging is great for Google search rankings, but don’t stop there. Actively send out your links for your customers to read and share. You can promote your content through many different avenues. One of the most common choices is to promote your posts on the social media sites where your customers are most active. Link to your awesome content at every opportunity, without being obnoxious. Updating your status or sending a tweet only once a month is not effective, and it’s not social. Of course, you don’t want to be obnoxious. But many business owners don’t realize that over-promoting their content on social media is obnoxious. Making your tweets and posts just about your own business is a sure-fire way to lose followers. Post regularly. Share other people’s content. Talk with your customers. Answer their questions. Write funny posts. And sure, share your own content too. Just don’t make all your posts about you. If you haven’t updated your website in two years, it’s time to refresh that copy. Think about all the positive changes you’ve made in the past year. What has changed since you last wrote your Home page? Have you earned any awards or recognitions to add to your About page? Have you added new services? These questions will give you inspiration to energize your writing. Make your business website stand out with a big-ticket marketing piece such as a case study or free download. A case study showcases your talent, product or service by displaying the ways you’ve dazzled your customer. Write a compelling case study by describing your customer’s problem and outlining the steps you used to solve it. Offer a free download such as an e-book or white paper as a resource for your customers and incentive for them to give you their email address. They get free, helpful information from your company, and you get contact information to add to your mailing list. It’s a win-win! You may already have a mailing list, and with a free download on your website, you’ll be collecting more email addresses. Don’t let them go to waste! Start sending out helpful content. Your emails can be as simple as a short message with a link to your latest blog post, or you can create an e-newsletter. Whatever you decide, keep reminding your customers that you’re thinking of them. Not all business writing has to be published online. When is the last time you updated your business cards or brochures? Are you still giving out the ones you wrote when you first started your business? If so, it’s time for an update. Business brochures don’t have to be boring. Add the same energy into your printed marketing materials that you have on your website. Your writing style will be different for print, but good copywriting will shine just as well on paper as it does online. Make those writing resolutions! You probably have a long list of business to-dos, but don’t let your marketing fall by the wayside in the coming year. 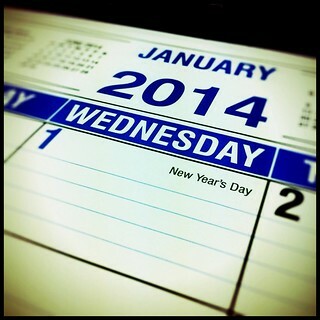 No need to try to complete all your resolutions by February, but don’t put them off until November either. Get a fresh start for the whole year, and remember, your website and marketing materials may be the first impression your customers get. Don’t let bad writing be the last impression. Seems like a lot, but actually, once you learn each of these the work can be done pretty quickly. Anne – True, and we don’t have to tackle them all at once. That would overwhelm any copywriter! Thanks for dropping by.